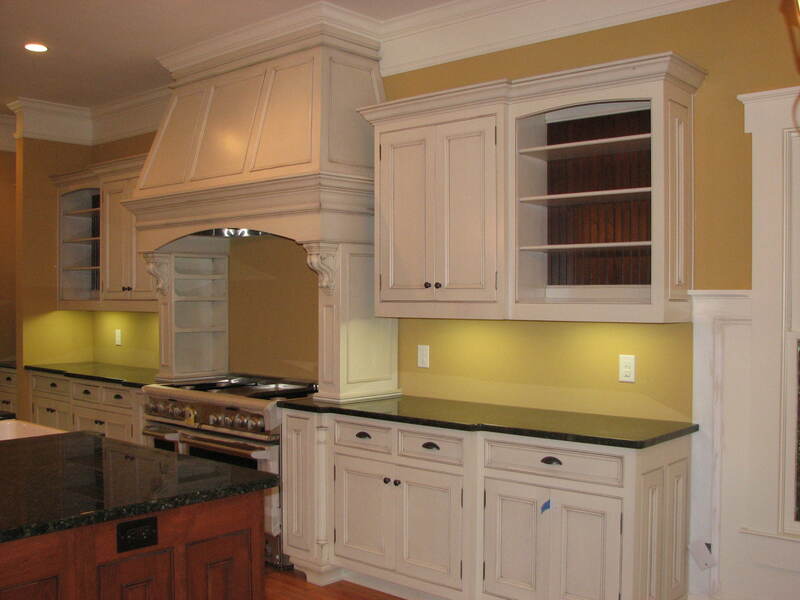 There are many different styles of cabinets available in today’s market place, and we can make anything that you may want. 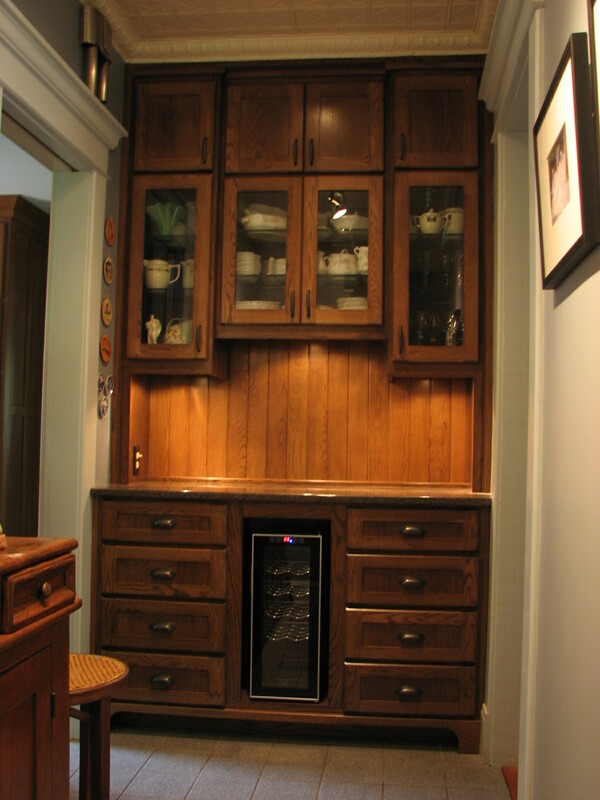 As a general rule, however, all cabinets are a variation or modification of the following cabinet styles: Traditional Overlay Cabinets, Full Flush Overlay Cabinets and Inset Cabinets. I think it is very important that you be aware of these different styles so that you do not find yourself disappointed with some of your choices. 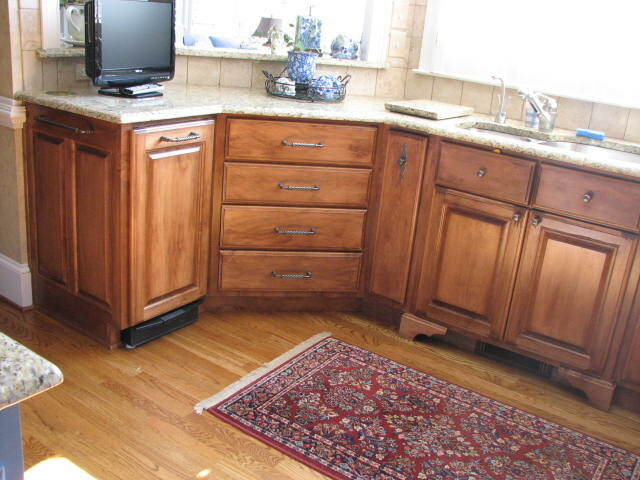 Traditional Overlay Cabinets: This style of cabinets features drawer fronts and doors that overlay the face frame by ¾ inch in almost all instances. 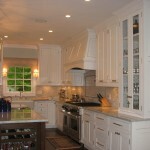 This results in a cabinet that has a pleasing balance of door panels and face frame showing on the front of the cabinet. Typical overlay framing is 2 inches wide, although many other dimensions may be used, depending on the location. 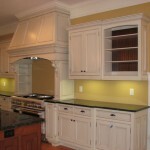 This is the cabinet that is a familiar style in about 90% of the houses in the Atlanta area. 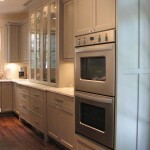 While this style has been with us for a long time, it is very attractive and versatile. 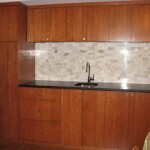 By adding columns, brackets, crown and other design elements, you can have a very pretty and functional kitchen. Here are a few photos. 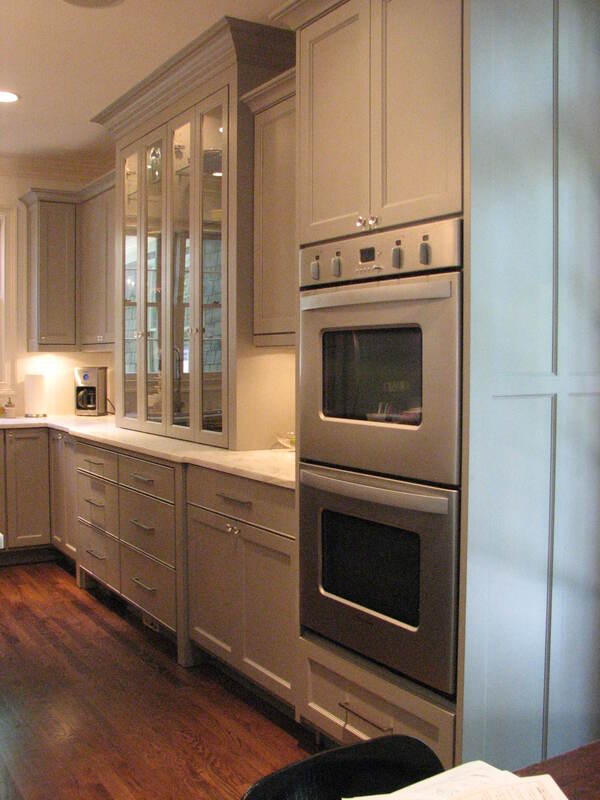 Full Flush Overlay Cabinets: This style of cabinet uses variable overlays of the doors and drawer fronts to achieve a uniform front that fully overlays the face of the cabinet with only small gaps between the panels individually and the panels and the edge of the cabinets. This gap is referred to as the “reveal”. 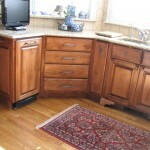 We make our cabinets to have a ¼ inch reveal in most instances. 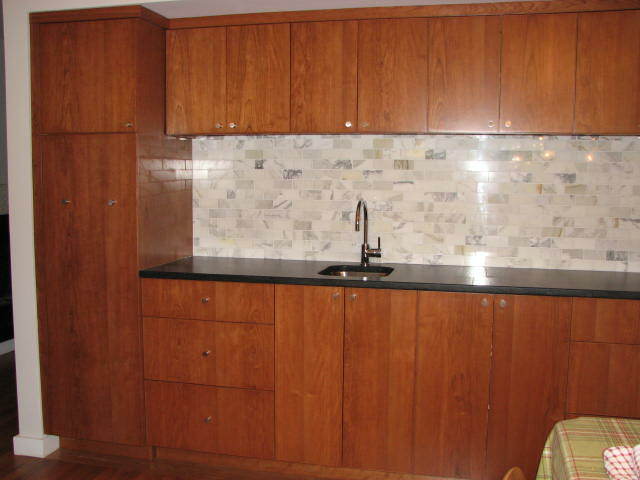 The resulting cabinet is very clean and uniform looking. 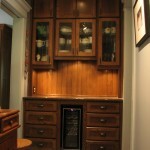 It is referred to in most instances as a “European Style Cabinet”. 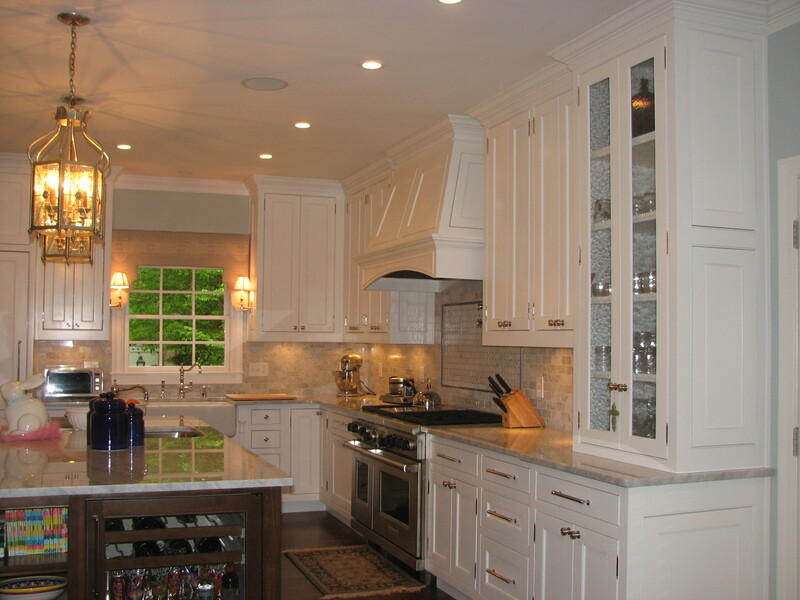 All the classical design elements can be used to enhance the styling of the cabinet, but in general, they are more linear, smooth and less detailed than those used in other styles of cabinetry.